Anguilla stole my father. And it started with coconuts. One by one the brown-green husks landed with muffled thuds amid plumes of white sand. The man dislodging them with a kayak paddle collected the literal fruits of his labor and set them on a nearby stump in front of our beachside bungalow. Splitting one open with a large knife he drank deeply from the milk inside, unleashing an audible sigh after the last gulp. My father looked up from his book on the patio no more than twenty feet away from the now satiated resort-hand. “Rough job,” my father quipped. In minutes, my father, normally a vacational hermit, has learned that the coconut harvester’s name is Morris and he had been working at Cinnamon Reef ever since he moved from St. Kitts, south of Anguilla, to help support his mother and his 12 siblings. At this last bit my father’s eyes go wide. My eyes are a little wide now too. Twelve siblings is a lot, but I’m rather more surprised at my father. My dad is the original ugly American tourist. He doesn’t really concern himself with much outside of the factors that directly affect his stay: a warm breeze, beach access, a cold Sam Adams and a well-kept golf course. He firmly believes that roughing it means the maid doesn’t leave a mint on your pillow. Anguilla is a little short on Sammy A, and there was not a single golf course on the island at that time. But my father was still falling in love with Anguilla. My surprise escalates when five minutes later in the conversation my father, the man who hates moving water and refuses to take a cruise, agrees to come out in the dinghy with Morris and me. We snorkel in the reefs near the resort. As we motor out over the crystalline blue waters of the lagoon my father continues his questioning. 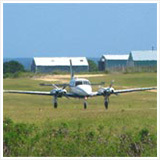 My father laughed at the comment; he was amazed that Morris has no desire to leave Anguilla. I laugh also; I’m amazed that this is actually my father sitting with me -- in a boat. Who is this man and how did he get here? Maybe there was an alien pod back in our room that I missed in my early morning daze. But this guy... Boats? Learning about someone else’s past just isn’t like him. In fact, this whole trip isn’t like him. I’d noticed the change ever since we arrived in the country earlier that week. I thought maybe it was something in the water. Now I realize that it was the island itself. 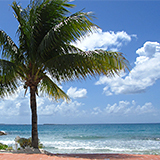 Yes, there are the lovely beaches like Shoal Bay, 12 miles of beaches, rated among the best in the world, fine, sandy stretches curling out to breezy points, a frame against the azure blue sea. And there are reefs, and palm trees, but more memorable than those minor aspects of the island were the many signs of its untouched nature. 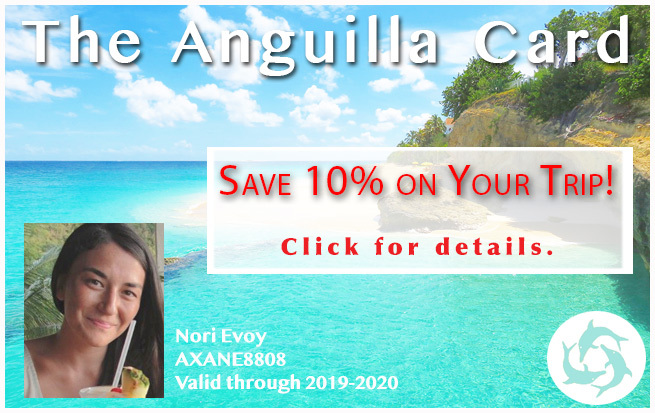 Anguilla doesn’t have the exotic, island atmosphere of its neighbors, nor the casinos on St. Martin, or even a golf course (at the time), so precious to my father. 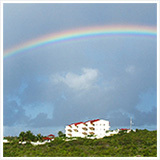 Due to Anguilla’s laws (each citizen owns part of the island), gargantuan resorts do not yet hold sway over the island. 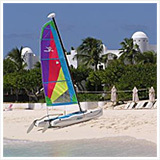 There is elegance beyond Cap Juluca (and now, CuisinArt and Viceroy). Anguilla’s charm is of a different sort. In those days, the Straw Hat restaurant sat along a worn wooden pier. Underwater lights shone up through the swirling blue below, silhouetting the seafaring fauna as my parents and I feast on their recently deceased relatives pulled fresh from the sea that morning. By candlelight and starlight the restaurant is enchanting, seemingly pulled from the pages of the most refined romance novel with prices to match. We return the next morning for a quick photo, to find the site of our elegant meal is that of a tin shingled shanty, pockmarked by rather large patches of rust, the glassless windows covered unceremoniously with plywood. 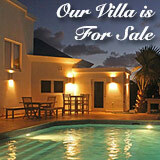 Appearance isn’t everything on Anguilla. The island doesn’t need the glitz or the neon, or even the pavement to offer a truly memorable travel experience. As splendid as the powdery white sands of Cap Juluca are, more enticing still is the sheltered cove at Little Bay. Surrounded by sheer rock cliffs and a crumbling hillside. Adventurers can only reach the 40-yard long beach by boat or, for the more daring, scaling down the hillside using ropes seemingly recovered from the Temple of Doom. Once there you can swim through the sea-carved holes in the cliffs or bask on the scant stretch of beach, until the tide steals away what little sandy shore resides there. To get to Little Bay, we hired a boat from the beach outside of Roy’s Place (since replaced by da'Vida), a hot night spot that during the day looks like the ramshackle building washed up on the beach that morning. Hemingway would fit in well sitting on a bar stool, or Gilligan (and the Skipper too). Like everything in Anguilla, the personality of Roy’s Place is natural, hardly the work of tourism manufacturing. Its edge comes from the smatterings of quotes that tile the bar: (“Unattended children will be sold”), the driftwood exterior, and of course the boisterous and wandering live parrot perched (between roving expeditions) on a Tequila bottle behind the bar. We rest there for a bit after our return from Little Bay, my father further confusing me as he asks for a Ting, a local lemony-soft drink, instead of his traditional Sam Adams. It’s about four in afternoon and we’re the only ones around. My mom has gone down to the beach to comb for sea glass. I sit with my father as he finishes his Ting. But it’s not the Ting, or a budding case of sunstroke. It’s just Anguilla. 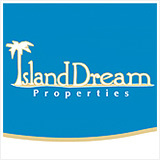 Indeed the island is magical, as my father’s experience indicated. 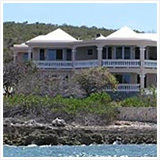 The majesty of Anguilla is the same as a New England antique store. In every innocuous nook and cranny there’s a richness tinged with mystery, an unheralded adventure utterly fascinating to those willing to take a look. It’s a vacation in the truest sense of the word, a complete departure from everyday clock-in-clock-out life. Memories of shoving into subways are totally eclipsed by a bumpy ride down the “wrong side” of a dirt road. Here you swerve to avoid packs of free-ranging goats instead of wayward pedestrians. In place of angry horns and extended middle-digits, Anguilla enjoys a tradition of friendly toots and waves to those along the roadside. My father really indulged in this last part, waving like a Parade Marshall on speed at every man, woman and child along our dusty path. Invariably on our early morning drives we’d encounter someone. Toot-toot! “Wave Mike.” I’d wave. Ten feet further down the road, another woman on her porch with her son. Toot-toot. We repeated the motion so often I began to feel like British Royalty, gesturing to the public from the back of a convertible Rolls Royce, though a few jaw-rattling bumps quickly dissolved any comparison between our jeep and a British luxury car. But more than the poor suspension, the caring embrace of Anguilla’s people smooths out all the bumps. On our way home we find a boy of no more than ten years standing along the roadside, trying to hitch a ride, a common practice on the island. My father, the man who told me never to stop for anyone when I got my license, and warned me of talking to strangers as a child, slows the jeep to a halt and smiles as the boy jumps inside. “Where to chief?” the pod person looks in the rearview mirror. His stop is on our way back to Cinnamon Reef and we leave him with his family, sitting on their porch (TOOT-TOOT, wave) before heading off. My eyes linger as we drive away. Their house, like so many others on the island is only half-finished, the product of equal parts importation difficulties and Anguillian carefree attitude. But to me, it’s a totally new way of thinking. That someone would have to wait a month for plywood, when we’re used to hitting up the Home Depot down the block is mystifying. What’s more mystifying is that no one seems to care or worry that the only thing separating the master bedroom from the road is a thin sheet of dusty plastic. Six days after first arriving on the island I sat in the cabin of our Puerto Rico-bound prop plane and wondered how I could ever explain the effect this small, relatively insignificant island had on my father. As the plane tilted to starboard and toward Puerto Rico, I cast a final look upon the island. 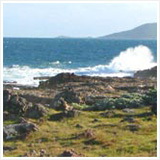 I chuckled to myself as I watched the waves of the Caribbean break on the islands’ shore; it came to me. It really was something in the water. 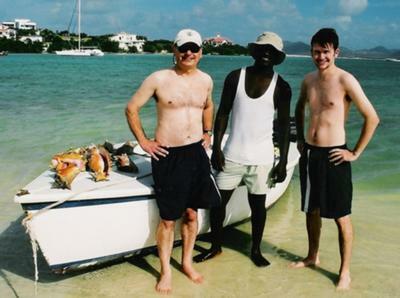 Dad's Reply: Mike, this look at you, your Dad, and Anguilla is an incredibly sweet story. How I wish I could have brought my own father here. The island has changed somewhat, physically, since you were here. Restaurants have closed or moved. 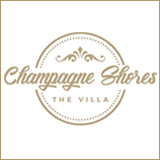 New hotels. But it's the exact same island you and your pod (er, your Dad) felt back then! I do envy your experience. 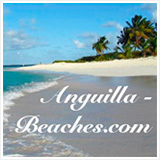 Thanks very much for sharing your Anguilla story!